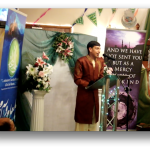 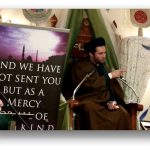 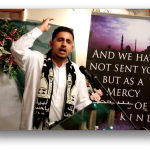 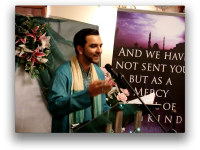 To celebrate the birth of our Beloved Prophet Muhammed (saw) Husaini Islamic Centre Peterborough hosted a spectacular Milad un Nabi programme on Saturday 2nd February 2013. 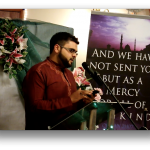 The event commenced with a mesmerising recitation of the Holy Quran by Brother Mohammed Baqir Al-Eisa followed by beautiful English and Urdu poetry, nasheeds and qasidas. 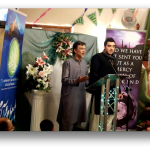 The audience was spoilt with recitations from world famous recitors including Ali Fadhil, Nouri Sardar, Abbas Lalji, Mahmood and Shahid Ladak, Imran Datoo, Mohammed Siddiq Jaffer, Adil Karim, Shabbir Tejani and Ibrahim Sincere. 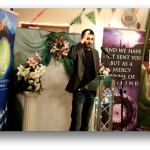 Our resident Alim Mullah Mohammed Kassamali delivered an insightful speech before the interval followed by an inspiring lecture by Sayad Ali Abbas Razawi. 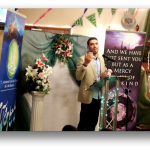 We can only describe the evening as a truly joyous occasion with abundant praise for our beloved Prophet (saw) and his Holy Household. 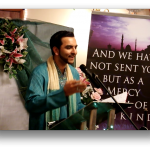 Community spirits were high with children, adults and ladies getting involved in the nights’ festivities. 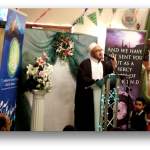 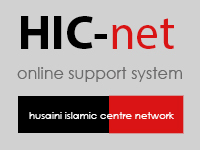 Husaini Islamic Centre would like to thank all those who were involved in making this a successful event and in particular the whole community for making this celebration so special.